Smile, greet people, and engage them in conversation when they stop by your booth. People are far more likely to stop and talk to you if you reach out and engage them. But don’t be salesy, and don’t launch into a big pitch! Ask them what they do and what they’re looking for at the show. Don’t assume you know why they’re there. Get people on a list – make them an offer in exchange for their email address or phone number. Ask potential buyers where they plan to sell your products. 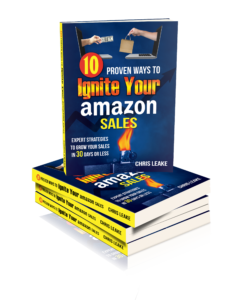 If people talk about Amazon, find out if they just want to sell your products on Amazon like any other seller, or if they provide full-service Amazon brand management on an exclusive arrangement. There’s a difference, and it’s important. Know what you’re getting into when Amazon stops by. At almost any large trade show you will have Amazon representatives stop by your booth and ask you to wholesale your products directly to Amazon. Be aware that if you do this you give up a significant amount of control of your brand on Amazon, including pricing control. Who have they worked for? What are some success stories? What’s the lowest-risk way you can find out if the two of you are a fit? How will they grow your business, make life easier, or improve your bottom line? What is their area of specialty? What are they “the best in the world” at? How do they keep up on current trends? What do they think are they most important current trends in their area of expertise? Use location-based geo-targeting to show a Facebook ad specifically to people attending the trade show. Use a video ad, and give attendees a compelling reason to stop by your booth! Need Help Taking Control of Your Brand on Amazon? Or Growing Sales? We help brands that understand the importance of e-commerce make more sales and protect their brand on Amazon. We’d like to offer you a free 30-minute consultation…a phone call that is your time to talk about whatever you’d like help with. To schedule a call, take a couple of minutes to fill out the brief client application form, and then we’ll get in touch and schedule a call. It’s okay if you’re not sure if you want help or not. Filling out the form is simply our way to start a conversation.